Make sure you first read “Creating your very first holographic app in Unity” for setting up your hololens project. 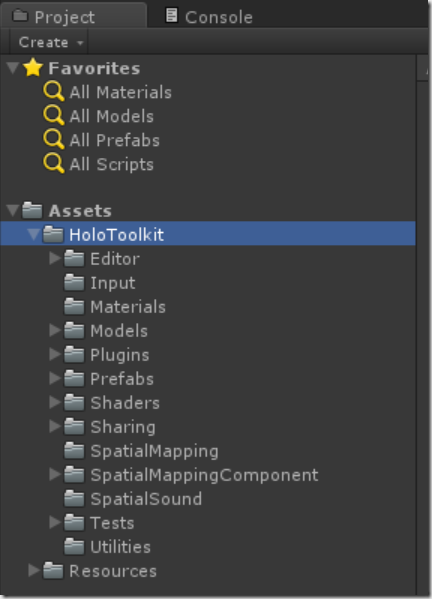 The hololens team has created a useful “HoloToolkit” for use with Unity. It provides stuff like Spatial Mapping, client/service for sharing holograms among multiple users, cursors, gesture handling, spatial sound etc. Go to https://github.com/microsoft/HoloToolkit-Unity and click “Download Zip” to download the toolkit. Right-click the downloaded zip, select properties, Check the “Unblock” checkbox and click OK.
Unzip the folder “HoloToolkit-Unity-master\Assets” into your Assets folder in your Unity project. 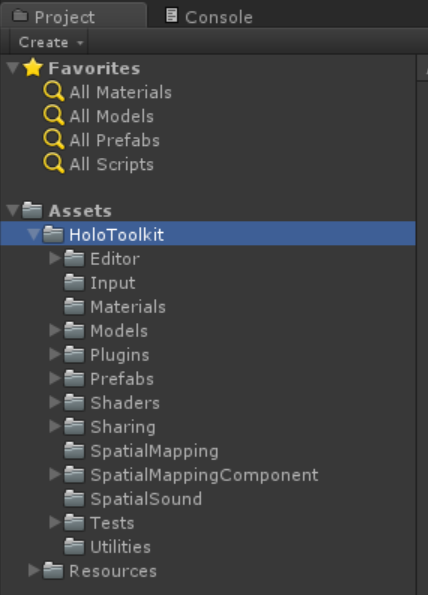 You should now see all the HoloToolkit in your Project view (Unity doesn’t even need to restart, but will auto-detect the new files and import them). I’ll be blogging about using the Toolkit in upcoming blogposts as I figure out how to use the pieces.